Are you looking for the best DSLR camera under 40000? But still, my question is that why you want to buy a DSLR Camera like for Photography or for Videography? If you are a photographer and looking for a camera to take breathtaking photos and you can enhance the photos by manually setting it according to the type of photos you need to click. Photography might be all about talent, but If you want to improve your skills and want to take it to the next level you need a good piece of hardware. We listed below the best DSLR Camera for your need under Rs. 40000. But if you want a DSLR Camera to record videos? Don’t worry we covered you too. As you know Youtube is one of the biggest platforms for creators now. There are tons of Videos uploaded daily on youtube and competition is a lot more now with a good script you now need great quality too. So, in this article, we are going to tell you about the best DSLR cameras you should buy if your budget is between 35000 and 40000 for both photography & videography. If your budget is bit low then we have a good news for you we also listed Best DSLR Cameras Under Rs. 35000 with a Kit lens to start with. This article includes the cameras with a camera body and a basic kit lens. These are the top rated cameras from tech gurus from the world. Cameras in our list should be great for semi-pro and beginners but not for professionals. This list includes best DSLR models from top brands like Canon, Nikion, and Sony. We tested them all and sharing our experiance with you guys and at the end we will give you our verdict which on is the best for which person. We tested their performance, features, durability, and output quality. 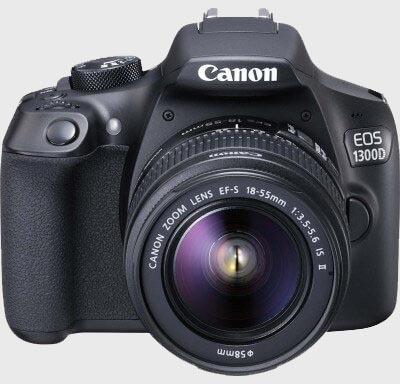 The Canon EOS 1300D is one of the best seller DSLR in this price bracket because this one has solid build quality and it is suitable for one-hand use and the matte texture on the surface provides it a really good grip and protect it form direct scratches. 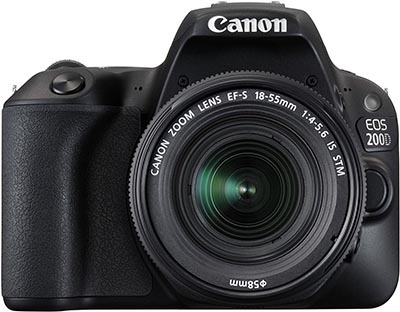 Cannon EOS 1300D comes with a 3.0-inch high-resolution display but there is no touchscreen option which makes us bit disappointed but in this budget you have to compromise in some departments. This one has all the other basic features like Wi-Fi & NFC Support for easy transfer of photos & videos. The images we clicked had good depth, detailing and nice color reproduction. But if you looking for Videography with this DSLR you will be disappointed because the is no auto stablization on this one for video. So, i doesn’t recommend this camera for youtubing purpose. It’s budget friendly and comes with two lenses which when combined with DIGIC 4+ image processor allows you to take photos like a pro. If you are looking for something rough and tough for daily use then this is for you. 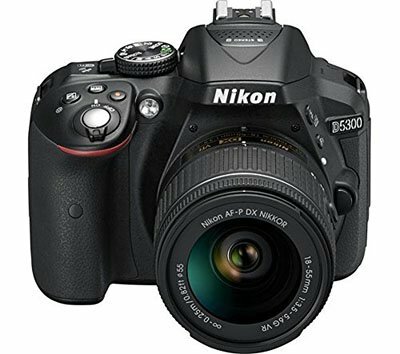 We highly recommend Nikon D5300 DSLR for photography lovers. Nikon D5300 has really solid build quality which help to provide extra grip and a stunning design. This DSLR offers almost all the basic features which a semi-professional photograper requires like it has Wi-Fi support, GPS etc. Wifi connectivity makes it easy to transferring photos to other devices. And, GPS feature tag photo location from where this picture should be taken. The battery life on Nikon D5300 camera is exceptionally good it feels like it will last you forever. But you can easily took 500+ shots on single charge. The only flaw in this DSLR is viewfinder which is not up to the mark. A complete package of DSLR features, amazing image quality, great AF, and Nikon says EXPEED 4 is their fastest image processor which will put D5300 above its competitions. It has won red dot 2014 award. The Canon EOS 200D is the best Video DSLR which you can buy under Rs. 40000 right now. This one has a robust build and solid durability which could take some rough handling and regular usage. The camera offers a firm grip, and it is comfortable to hold and use, thanks to its light and compact design. The LCD Display on this one is touchscreen and has excellent viewing angles, and touch responsiveness makes it extremely convenient to use. The operation on EOS 200D is simple as expected from canon. The camera is also ideal for capturing high-resolution videos. The focusing speed is very fast, and the camera can click a series of photos in quick succession. The connectivity features are top-notch with inbuilt Wi-Fi, Bluetooth and NFC connectivity. So, Which on should you buy if you read our article catefully you will notice that we clearly mentioned which DSLR Camera is suitable for which Person So, Its all depend on your requirement Please let us know in the comments section which one you choose and Why?